Ships tomorrow if you order in the next 24 hours 41 minutes. Thinning and aging hair can be frustrating to manage. It may break more easily, be harder to style, and get easily weighed down by too many products. 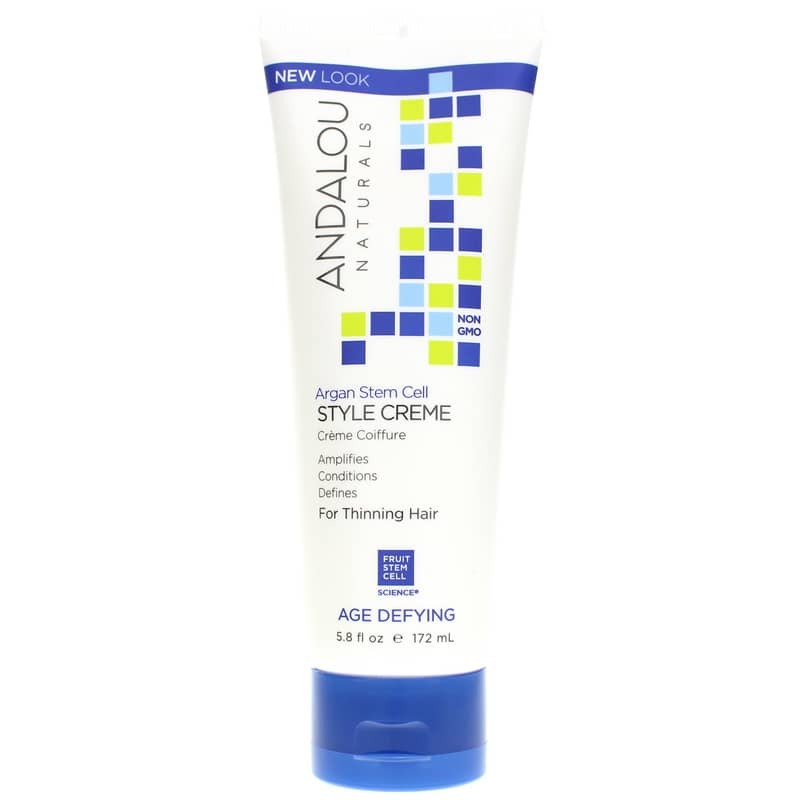 Age Defying Style Creme with Argan Fruit Stem Cells from Andalou Naturals nourishes, strengthens and conditions all hair types, especially thinning hair, while improving texture and control. This formula includes fruit stem cells, key amino acids, vitamins and botanical blends to help regenerate, strengthen and protect thinning hair. This style creme not only helps control and manage your hair, it helps nurture and protect it with potent botanicals and vitamins, so it looks and feels healthier, stronger and more lustrous. Order yours now! I have dry coarse curly hair, so I need styling products that really work hard and are natural. 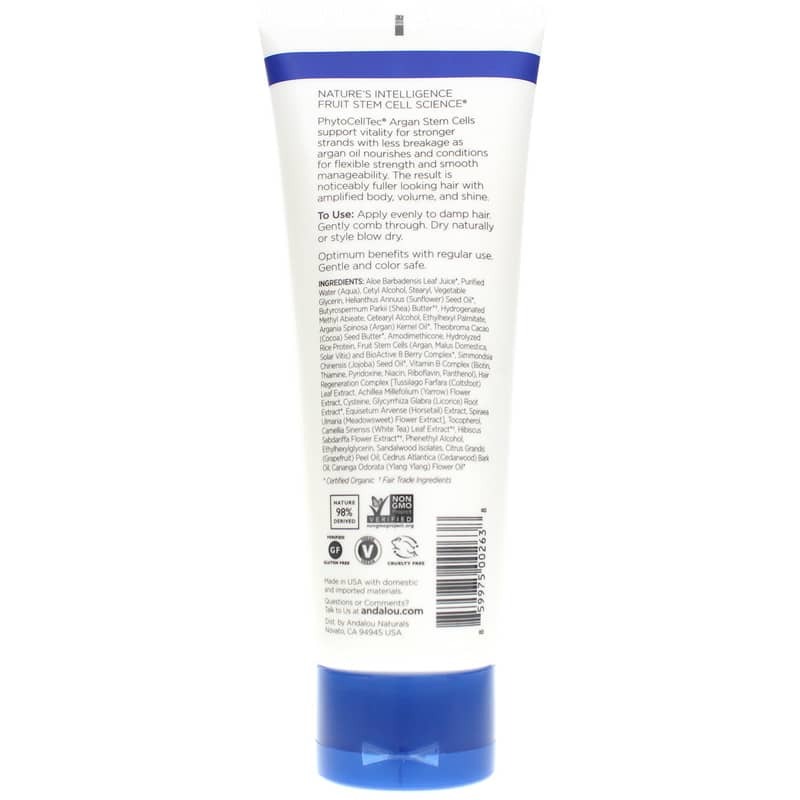 This cream did little to smooth or control frizz. It was easy to use and has no scent.